One of Accessory Power’s top-selling brands, USA GEAR, recently launched its very own website www.usagear.com. Due to the huge success of introducing our ENHANCE gaming website, Accessory Power decided to expand USA GEAR’s online presence by creating a separate website for customers to visit. 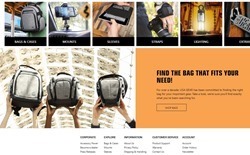 This, coupled with the upcoming releases of several new USA GEAR products, gave Accessory Power confidence that it was the ideal time to showcase the all-new, innovative features with a dedicated site focused on the USA GEAR brand. The new website gives people an opportunity to get to know the USA GEAR brand and product lines better, and features a layout designed to help customers find the perfect item that fits their needs. Whether it is protecting cameras on the go or finding the right mount, USA GEAR has a wide product selection to accommodate different lifestyles. The website is a great resource for customers who want to check sizes and dimensions of bags and cases. Within the next few months there are plans to add extended filtering tools to help customers find bags by features. The website was built to be user-friendly with separate pages to showcase each product line and can easily be accessed on any device (mobile, desktop, tablet, and laptop). In addition, usagear.com is the only place where specialized USA GEAR accessories and replacement parts such as rain covers and bag dividers are sold. There is also a blog and newsletter section on the website to keep consumers up to date on the latest news a product releases. Accessory Power’s team of developers is continuing to optimize the site and add enhancements and features. USA GEAR is one of Accessory Power’s fastest growing brands and has quickly developed into a collection of durable and multifunctional products. Under the brand there are several distinct series, each with its own unique philosophy and aesthetic. With so many unique lines of product, every customer can find the right bag that fits their every need. The line is currently being expanded with many popular pattern variations of their best-selling bags and cases so customers can find just the right style of camera accessory in floral, southwest, or galaxy prints. USA GEAR products are designed with high-quality fabrics and universal features that make them perfect for different lifestyles and environments. One of the most popular USA GEAR product lines is the hard shell cases, which carry portable products and are constructed from sturdy nylon that has been designed to protect from impacts and keep items safe during harsh conditions. 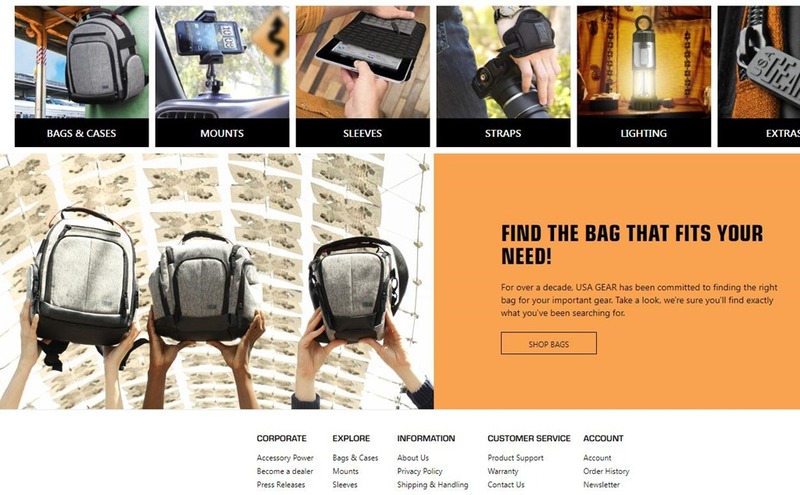 To find out more about the different USA GEAR product lines, customers can click on the explore tab on the websites and scroll under the bags and cases section. Visit www.usagear.com to explore these and other products and learn more about the brand.